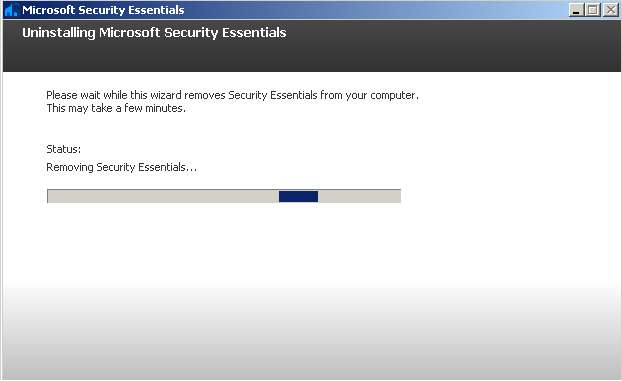 Why I decided to uninstall Microsoft Security Essentials Antivirus? Today I decided to remove Microsoft Security Essentials Antivirus from my system because Security Essentials failed another certification test by independent testing lab, AV-Test Institute. Microsoft's Security Essentials antivirus for Windows XP, Vista, and Windows 7 is a free add-on to Windows Defender, which blocks adware and spyware on Windows. In its review, AV-Test revealed that 22 of the 25 programs that were tested passed the test, but Security Essentials came up short. The lab tested all programs across three areas: protection, repair ability and usability of the whole computer based on the impact of the software. "We always used the most current publicly-available version of all products for the testing. They were allowed to update themselves at any time and query their in-the-cloud services. We focused on realistic test scenarios and challenged the products against real-world threats. Products had to demonstrate their capabilities using all components and protection layers." Microsoft's Security Essentials is currently the most popular security suite in North America and the world, mostly because it is free. According to firm, In November, Security Essentials only detected and caught 71 percent of zero day malware and viruses that have not been previously released into the wild. The lab stated that Security Essentials scored a 1.5 (out of 6) in protection, a 3.0 on repair ability and 5.5 on usability. Via a Blog Post Joe Blackbird, program manager at Microsoft's Malware Protection Center questioned the results. "Our review showed that 0.0033 percent of our Microsoft Security Essentials and Microsoft Forefront Endpoint Protection customers were impacted by malware samples not detected during the test," "In addition, 94 percent of the malware samples not detected during the test didn't impact our customers." Conclusion, The AV-Test results show that Microsoft's twin security programs protected against 100 per cent of known threats, as did every other security suite but falling down is in protecting against zero-day attacks. So that's why I decided to uninstall it for now, and going with any other security suite like Comodo Antivirus, Avast, AVG, Kaspersky etc.